Wilson Trophy Fund Raising Dinner and Grand Raffle. Last Saturday evening a broad cross section of club members got together for a fun evening supporting the 70th Anniversary Wilson Trophy. 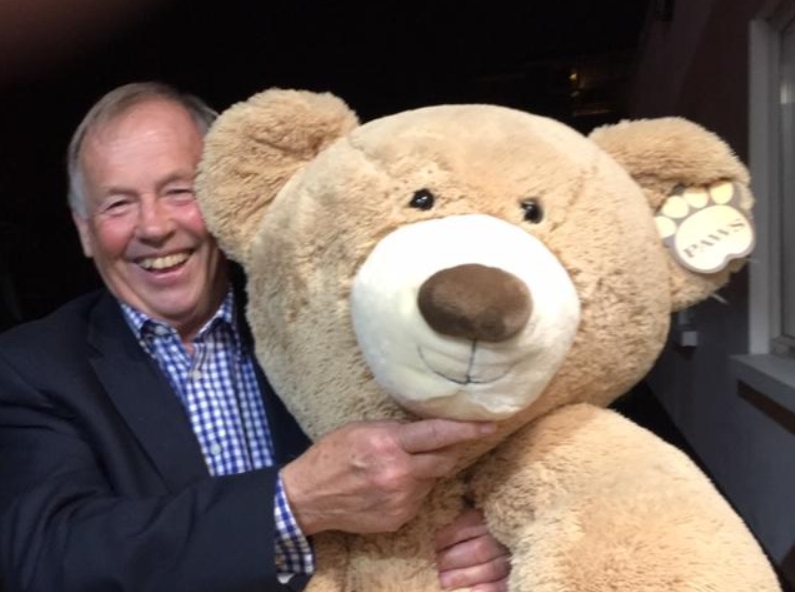 A lively game of Heads’n Tails started the evening, which saw Pam Dodd win a big (and I mean BIG) teddy bear. A fantastic meal followed prepared by Judy & Neil Jackson and Beryl & Mylo Parry. The meal was brilliantly served by our juniors (alice, Hugo, Hector and Pip), aided and abetted by the bar staff. Then, after a few wise and well-chosen words from our Commodore, we moved on to the amazing Raffle. The President is allowed a cuddle, before “Paws” is taken home by worthy winner Pam Dodd. The evening raised a magnificent £1,500. This will help WKSC add more bells and whistles to the 70th Anniversary Wilson Trophy to make it an even better event for both the competitors and WKSC members. The Wilson team would like to thank everyone for their generosity. Everyone who came to the dinner, who bought raffle tickets, donated prizes and generally got involved. To all of you, thank you. It was much appreciated and we hope you all enjoyed yourselves.